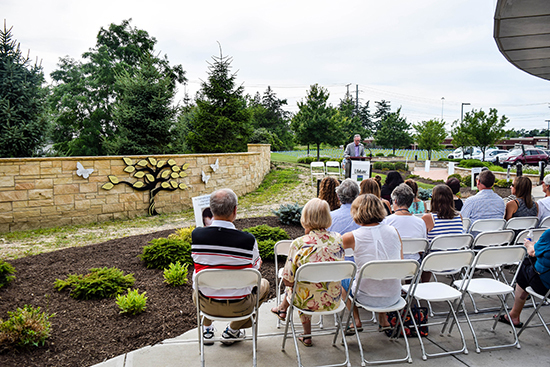 On a beautiful July afternoon, Lifebanc welcomed around 50 supporters and staff to its Cleveland office for a pinwheel ceremony and dedication of its new Legacy Tree. 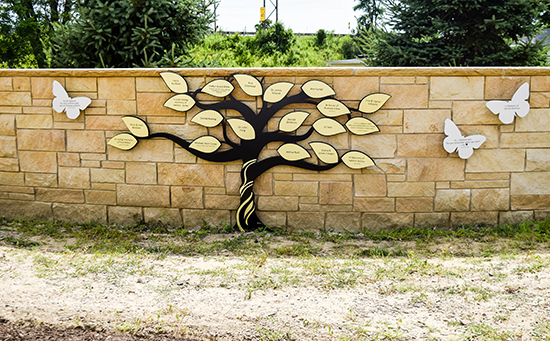 The Legacy Tree features leaves and butterflies that signify generous contributions to the organization’s eight by fifty campaign. 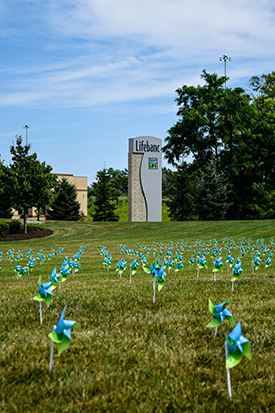 The office’s front lawn featured 929 blue and green pinwheels. One for each hero who gave the gift of life in 2017 in Lifebanc’s service area. The ceremony also featured remarks from Lifebanc CEO Gordon Bowen and Chief Clinical Office Heather Mekesa, the raising of the Donate Life flag and several moments for reflection and celebration of those who have been touched by the miracle of organ, eye, and tissue donation. To learn more about how the eight by fifty campaign helps Lifebanc save and heal more lives through organ, eye and tissue donation, please click here.